In the 1920s and '30s Art Deco influenced everything from art and architecture, interiors and furnishings, automobiles and boats, to the small personal objects that are part of everyday life. 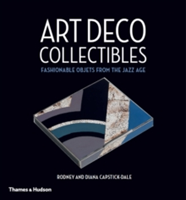 In this title, the items demonstrate Deco style at its most alluring. They were then the height of fashion, and are highly prized collectibles today.